Illuminate your interior with a slender, stylish table lamp from Heathfield & Co. 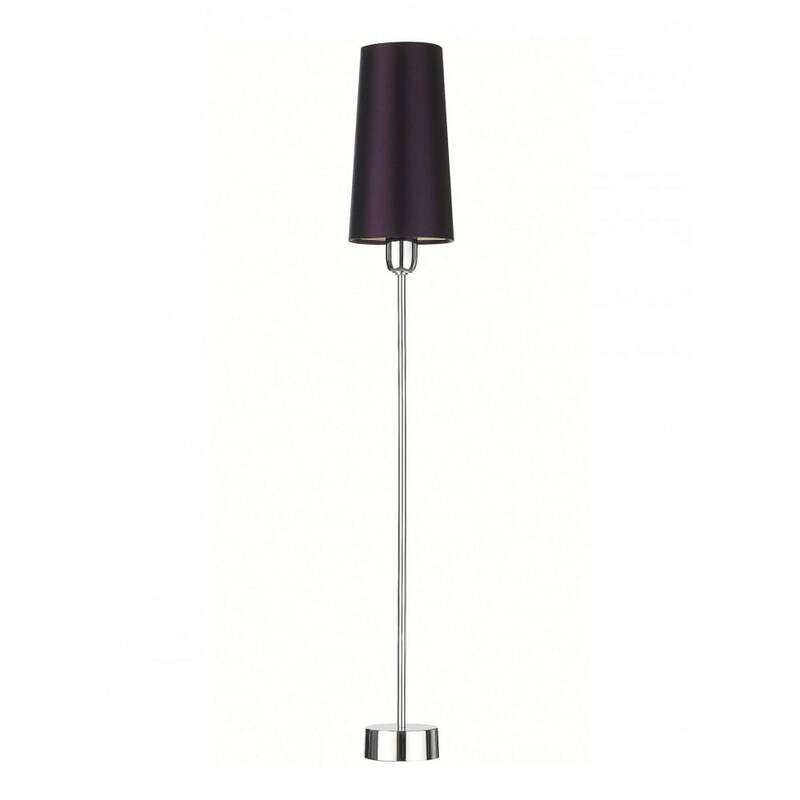 The slim stem of the base extends in an on-trend chrome finish. A lean lampshade complements the natural simplicity of this modern table lamp. The ideal solution for smaller areas needing ambient light, the narrow dimensions are a practical yet attractive choice. Style the chrome Piccolo with a deep, dramatic purple satin shade for a contrasting, contemporary look. Add a softer brushed satin for areas with a calming, neutral scheme. Priced for 4" Tall French Drum shade in silk with white PVC lining. Please contact us for other options.